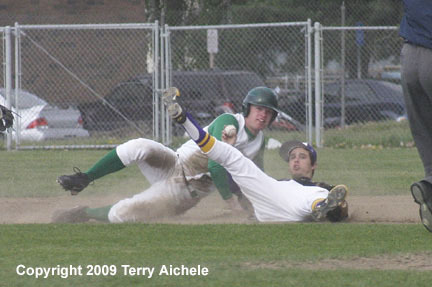 HERMISTON - The Hermiston Bulldogs lost to the Pendleton Bucks 10-0 in five innings on Thursday April 23, 2009. Pendleton's pitcher Isaac Hensley started the scoring in the top of the second when he hit a home run over the center field fence. Pendleton scored six runs in the top of the third inning. Three of those runs came when Baker hit a homerun over the left field fence. Pendleton led at the end of three 6-0. 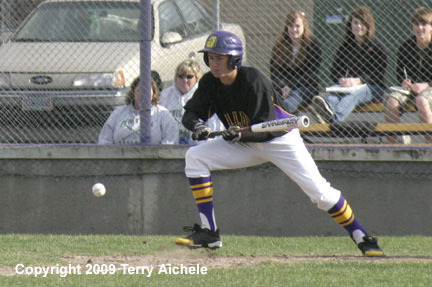 Pendleton scored four runs in the top of the fifth inning sealing the Bulldogs fate unless Hermiston could get some runs. 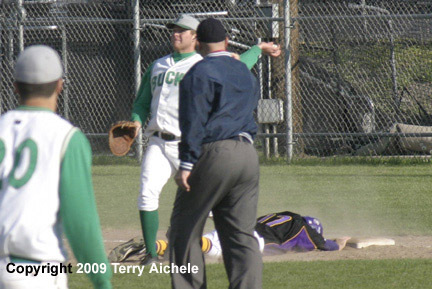 The Bucks pitcher Hensley struck out two Dawgs and the third out was when the lead runner was out at second on a ground ball.